We are a group who loves wolfdog Hybrids. 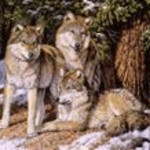 All are welcome to share experiences,knowledge,stories and love for wolfdogs. If you have shared your life with one, or WANT to - this is the place to be. 10 years ago (4 replies) | Hot! 11 years ago (41 replies) | Hot!